Cascade Coil systems can be used as decorative wall cladding for interior or exterior detailing to provide a flowing and distinct visual compared to plain, blank walls. Coiled wire fabric is finished in your choice of coating – based on particular environment and desired look – to meet your exact project requirements. 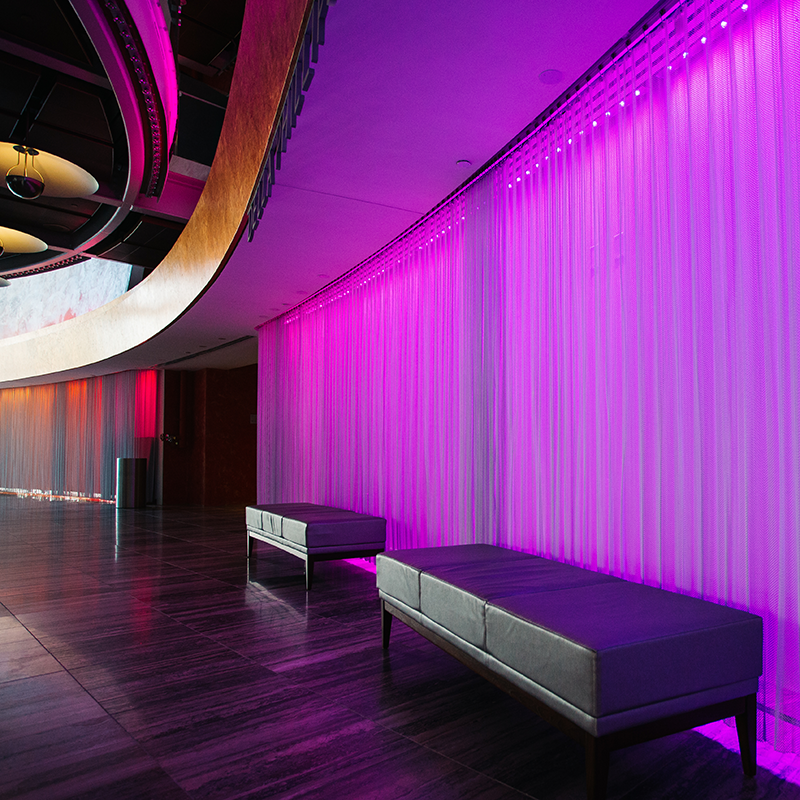 When paired with an artificial colored light source, Fabricoil woven wire fabric really stands out – a fascinating approach to decorative wall cladding. These systems are perfect for enhancing the atmosphere of restaurants, spas, clubs, hotels and more.